Famous for its coffee plantations, South India didn’t grow the crop naturally. Now a major producer with several hill tracts growing unique flavours of coffee, it is where the story begins… well, not exactly. The southern Indian state of Karnataka is strewn with coffee plantations. The state is, in fact, one of the major producers of coffee in India. ‘Arabica’ and ‘Robusta’ are the kinds of coffee that are grown here under methods which are unique to this part of the country, rather, to the world. The coffee here is grown under the shade of tress and is often inter-cropped with spices like cardamom, cinnamon, nutmeg and clove, giving it a unique flavour and aroma. Interestingly, growth of coffee here is so dense that it might come across as shocking when someone tells you that it all started with the seeding of mere seven coffee beans, which were smuggled to the hills of Karnataka. The story that goes around in the coffee plantations down south is that an Indian saint, named Baba Budan, once went on a pilgrimage to Mecca and from there to Mocha – a port city in Yemen and a major coffee hub. It was here, in the 18th century, that Baba Budan first discovered coffee, when he tasted it in form of a dark and sweet liquid called Qahwa. It is said that he found the drink so refreshing that despite it being a protected Arabic beverage and industry, he sneaked out seven coffee beans by strapping them to his chest and brought them to India. These seven beans, Baba Budan planted in the courtyard of his home, in Chikmagalur, Karnataka – the place now synonymous to the origins of coffee in India. 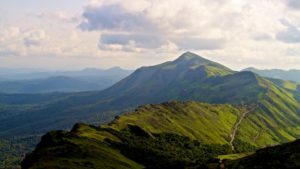 It is from this small patch of land that coffee began to spread over an entire hill – now called the Baba Budan hill – and then gradually to rest of Karnataka and South India. Coffee cultivation further boosted in India under various colonies. First, the Dutch began to grow coffee in the Malabar region of south India and then the British steered its movement all over the peninsula, where they found the conditions to be apt for the growth of the crop. In fact, coffee plantations in India were made commercial under the management of JH Jolly of Parry & Co, a trading company. 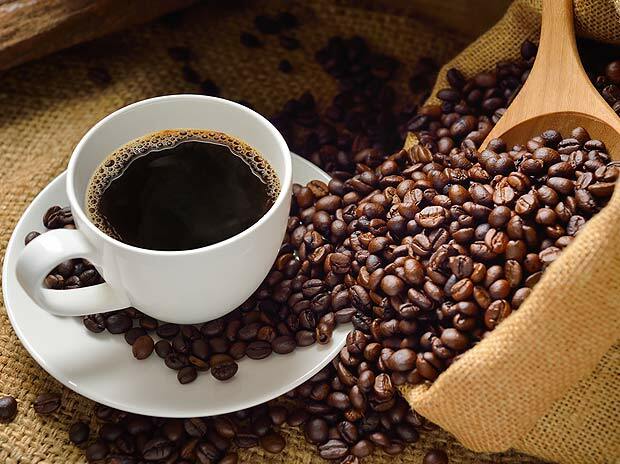 Jolly saw the potential of coffee beans growing in the plantations of Chandragiri in Andhra Pradesh and had a petition sent to the Mysore government in the adjoining state of Karnataka, for 40 acres of land to grow coffee. This not just boosted the growth of coffee but, post this, the plantations flourished with their production turning into the sole business of many from the region and coffee becoming a major commercial product. Eventually, a coffee board was also set up, which took care of the marketing of Indian coffee. It is this board that we know as the Coffee Board of India, the Indian government’s body taking care of coffee commerce in India. Today, the coffee industry in India continues to be a flourishing one with the hill tracts of South Indian states dominating its production and the states of Kerala and Tamil Nadu following Karnataka in the list of traditional coffee growing regions. Coffee routes have further elongated to non-traditional areas, including Andhra Pradesh and Odisha on the eastern coast of the country and Assam, Manipur, Meghalaya, Mizoram, Tripura, Nagaland and Arunachal Pradesh of North-Eastern India. The production of the crop that started on an ambiguous note has prospered into a full fledged industry, supporting the livelihood of many, especially, in the remote hilly areas of South India.